This project will improve the storm drain system in the South Lamar neighborhood and help protect the area from flooding. 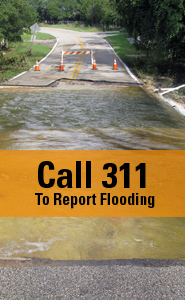 This project will help with localized flooding. 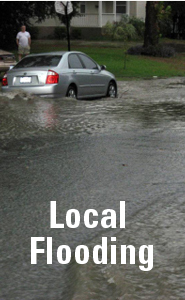 Localized flooding occurs when the manmade storm drain system of pipes and ditches is overwhelmed by heavy rainfall. Localized flooding occurs away from creeks. The existing Del Curto storm drain system straddles South Lamar Boulevard. It consists of 9,300 feet of pipe, a section of open channel and 38 inlets. The system is not large enough to drain the amount of stormwater that it needs to. There are at least 20 buildings, yards and streets at risk of flooding. This project includes installing new storm drain pipes or upgrading existing ones in the areas shown on the map below. Red, bolded lines indicate work zones inside the project area. We will be acquiring drainage easements from some property owners within the project area. An easement gives us the legal right to use a parcel of land for a specific and limited purpose. There are two purposes for a drainage easement. It may be needed to give rain water a place to flow. It may also be needed to install, access and maintain pipes to divert rain water. This prevents large amounts of water from accumulating during heavy rainfall. The area designated as a drainage easement is limited for any use other than growing grass and planting flowers. Preliminary Engineering – when a solution is identified and costs are estimated. Design – when the details are worked out and construction plans drawn up. Bidding and Permitting – when a contractor is hired and all permits are acquired. Construction – when the project is built. This project is currently in design. An initial public meeting was held in 2015. Construction should begin in 2019. To be added to the email distribution list, please send an email to Stephanie Lott.